Baking the Michigan Difference into every loaf. I decided to change up the Valentine’s Day tradition this year and not get real roses. Instead, I made them! I had a vague idea of this a few weeks ago and rightly figured that somebody else online had done it before. 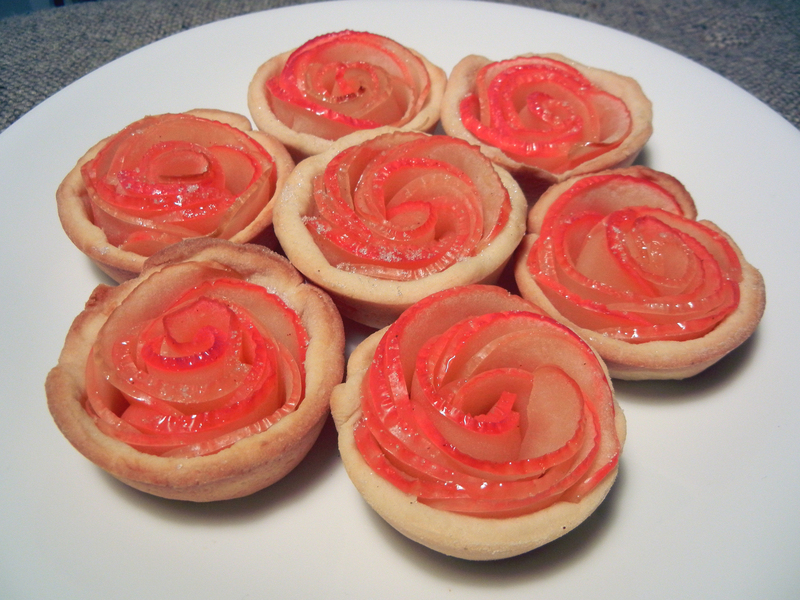 I found some straightforward techniques to make the rose shape with apple slices and was able to make them in only about 1.5 hours on Thursday. I was able to get a great shape on 10 out of the 12 roses that I made and found it very easy to follow given how complicated I was expecting it to be. 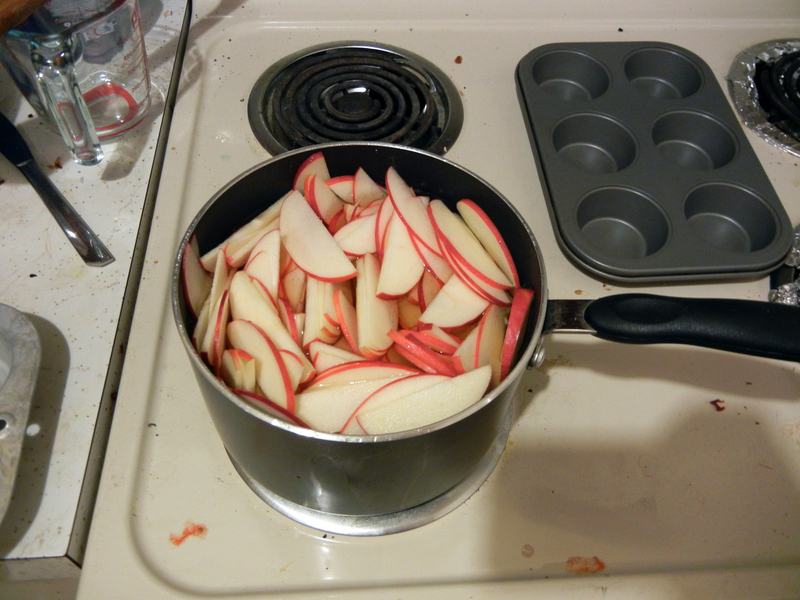 By cutting thin apple slices and then boiling them in apple juice for about 10 minutes, I was able to soften them. 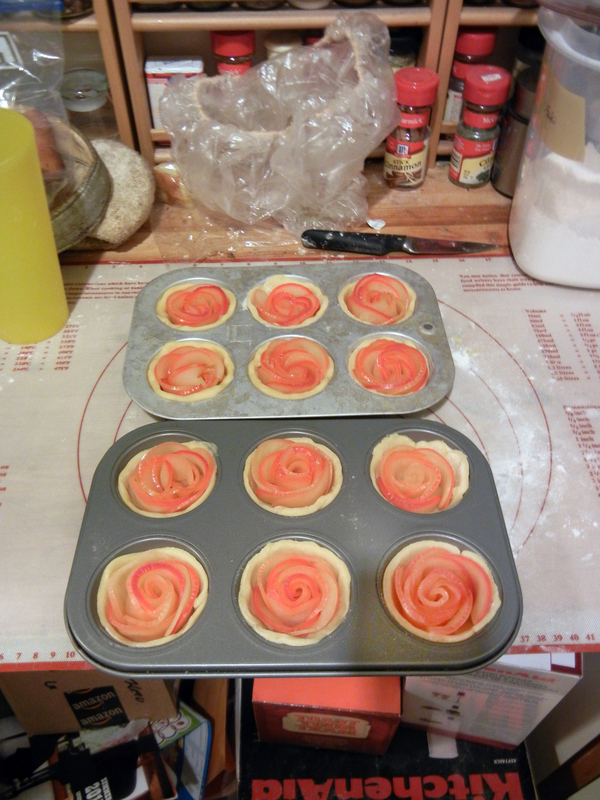 You then lay the slices out in rows and roll them up, creating spiraled rose shape. 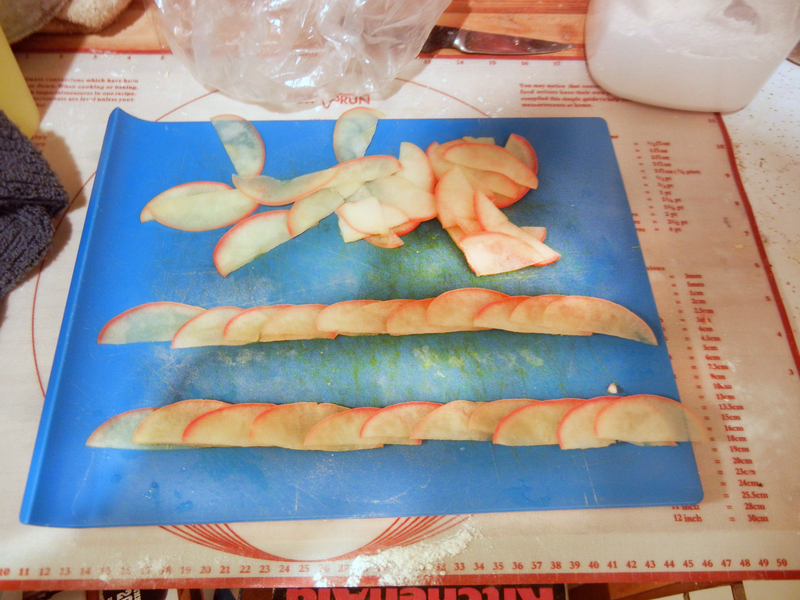 The tricky part with this was keeping enough fingers on the slices so that they didn’t unravel as you rolled them. It takes a bit to get the hang of, mostly because the slices are still a bit slippery from the apple juice. However you can’t let them dry too much or else things get harder to roll. The original recipe I found also added a custard on the bottom of the pastry cups, but I decided to lay off, figuring we would have plenty of sugar already between this and the nutella bread I made the day before. In a food mixer pulse together the butter and flour until combined. Add in sugar, and gradually add in the egg. Once combined, knead on a lightly floured surface for 2 minutes. Roll out the dough and cut out circles. Place in buttered muffin tins and chill in the refrigerator until needed. Core and slice the apples, doing your best to slice them as thin as you can. Place the slices in a liter of boiling apple juice, and boil for 10 minutes. Drain and spread out on a surface to cool. Cut out circles of dough and place in buttered muffin tins. Using the diagram above, lay out the slices (12 at a time) in a row, overlapping each. Starting from the left roll up tightly into a spiraled shape. 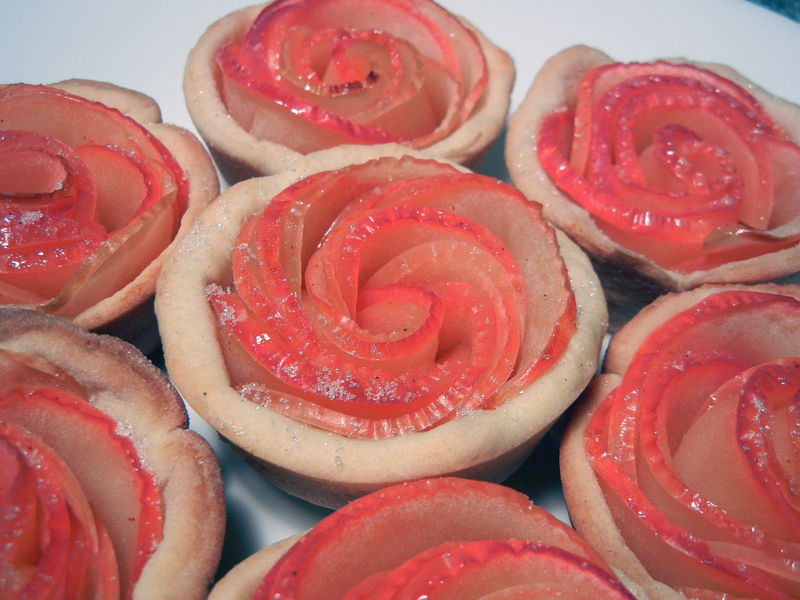 Place the roses into each pastry cup. Place in a 400 degree oven and bake for 20 minutes, rotating halfway through. thats a beautiful center roses! Questions? Requests? Email the Baker!